Are you looking to take the next step in your Community Services career? Sharpen your management and leadership skills with our Advanced Diploma of Community Sector Management. This leadership program supports managers to become inspiring leaders. Over 12 months, you will develop and enhance your leadership qualities within your organisational context. Leadership is a critical ingredient for delivering high quality client services and this program seeks to develop leaders for a responsive human services sector into the future. 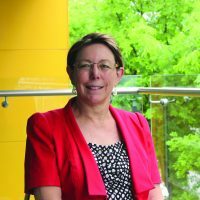 Faculty members for the CHC62015 Advanced Diploma of Community Sector Management include a number of exceptional leaders in the community services sector such as Judith Cross, former CEO of Relationships Australia South Australia. Judith has a national reputation for being an exceptional human services sector leader and strategic thinker – with a 30-year history of inspiring, promoting and supporting cultural change within human services to ensure client outcomes. Judith is a board member of Access 2 Place Housing, an organisation specialising in providing innovative approaches to housing for people with significant disabilities. She was awarded a Centenary Medal from the Australian Government for service to the community in 2003, and has been a finalist for South Australia’s Telstra Business Women’s Awards. Judith has served numerous ministerial appointments including the Premier’s Council for Women. This qualification is most suited to team leaders, middle managers and/or managers from community sector organisations who work independently and report to executive management, directors or boards of management. This course combines face to face sessions with some online (self-paced) learning. Participants will be required to undertake self-directed learning outside of classroom delivery as well as work placement activities. We recommend that students entering this course are working in a management position within a community services or similar organisation with responsibility for the work of others and accountability for outcomes within broad parameters. To learn more or enrol now, visit the qualification page.